The 2016 BSIE was launched on August 2016 as the incoming class admitted to program-academic year 2016 started their academic journey in the BSIE program. This new curriculum adds common core knowledge to our IE students while keeping the total course-credit requirement to 175 credits. Common core knowledge included in the 2016 curriculum (long waited by both IE Faculty and student employers) are: Information systems developing skills (ININ 4017), design of experiments expertise (ININ 4027) and deeper knowledge on discrete event simulation (ININ 4018). Interested in 2016 BSIE Curriculum? Learn if you are a candidate to change curriculum: Schedule an appointment with our counselor, Mrs. Griselys Rosado (787-832-4040 ext. 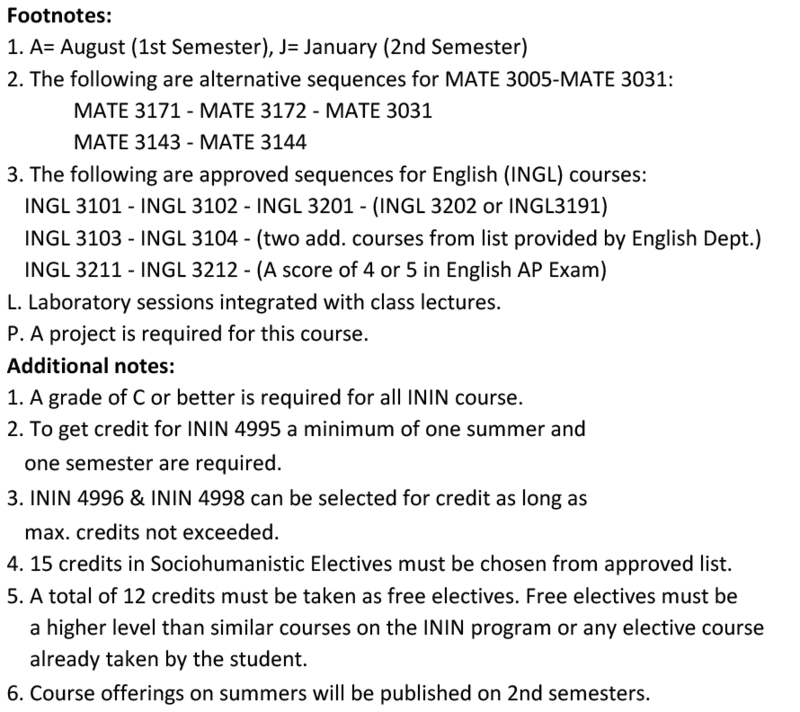 3204 or inin@uprm.edu), to find out if you are a candidate to change curriculum. Go to the appointment with Academic Counselor. Be on time to your appointment. The Academic Counselor will also evaluate your progress and will fill out the paperwork related to your change to the new curriculum (remember it is not automatic). Submit the request to change curriculum: Together with our counselor, you will prepare the paperwork required to change curriculum and will start the submission process. Follow up on your request: You can follow up your request to change curriculum by contacting the department or the registrar office.